Cantabrigian Susan Butcher, world class Dog Musher. Susan Butcher, born in Cambridge in 1954, was always a lover of the outdoors and of dogs. She moved to Alaska in the early 1980s to breed huskies and dogsled race. She began training for the Iditarod Trail Sled Dog Race, a grueling 1,100-mile race through arctic blizzard conditions lasting two weeks. In 1985, she was forced to withdraw from the race because two of her dogs were killed and six others seriously injured from an attack by a pregnant moose. Butcher won in 1986, becoming the second woman in the race’s history to win. She won again in 1987, 1988, and 1990. Butcher died in 2006 at age 51 after being diagnosed with acute myelogenous leukemia the previous year. In honor of her athletic achievements, Alaska celebrates Susan Butcher Day, yearly on the first Saturday of March, the traditional start date of the Iditarod Trail Sled Dog Race. Susan Butcher Day was established into Alaska law as House Bill #37 during the 2007-2008 legislative session. Wow! 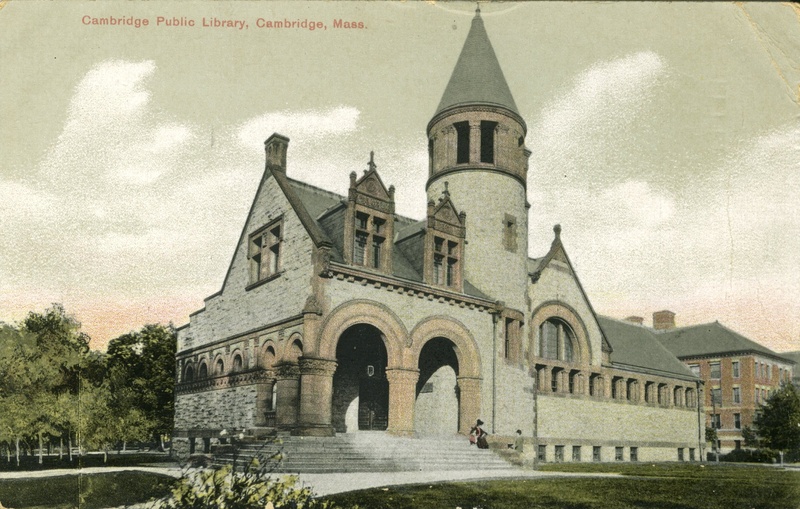 Talk about local history I had no idea existed. 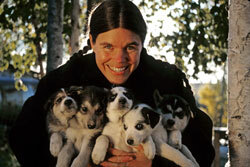 May we also celebrate Susan Butcher Day by hugging an armful of husky puppies?